A boss at the company that operates the Caledonian Sleeper has issued a message that licensed firearms can be transported on that train service. Rupert Soames tweeted on the matter after the British Association for Shooting and Conservation (BASC) raised concerns about ScotRail's ban on guns. 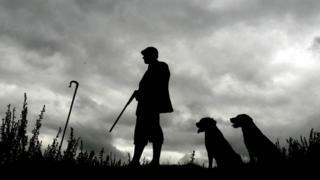 BASC said the ban threatened Scotland's field sports tourism. ScotRail's ban, which affects lawfully-owned guns, came after a firearm was left unattended on a train this year. Mr Soames, chief executive at Serco, tweeted: "Worried about Scotrail Fireams ban? Relax @CalSleeper welcomes responsible customers with licensed firearms. #bestwaytotravelnorth." The Caledonian Sleeper provides services between London, Edinburgh, Glasgow, Inverness, Aberdeen and Fort William. Among BASC's concerns was a "negative impact" on the Glorious Twelfth. Traditionally, the first day of the grouse shooting season is 12 August. ScotRail said the decision to introduce the ban was made for safety reasons after a licensed firearm was left unattended on one of its trains earlier this year.